Our New TEG Fan Dragon Stove! This maybe our most fun outdoor kitchen stove to date! 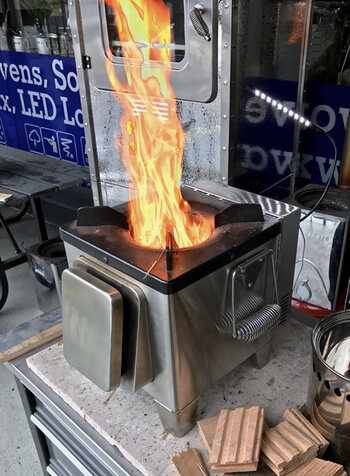 This thermal electric generator fan stove is a rugged pyromaniac's dream. It is capable of tremendous firepower like our Super Dragon, but in a more compact footprint. This is an amazing home or outdoor kitchen appliance. It burns super clean. It is a portable TLUD gasifier design with an additional unique side feed option. The TEG can run led lights, and charge numerous cell phones on the market. It features 2 USB ports. Let us clarify the charging aspects. No TEG really delivers all the wattage the TEG is rated for, TEGs are not capable of running continuously at peak wattage. This means that a 5 Watt thermal electric generator outfitted on a stove is really is only providing approximately 2.5 Watts! 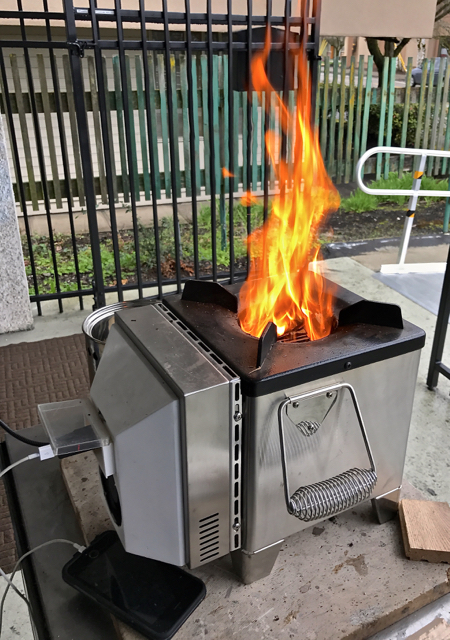 This has translated in to numerous customer complaints with BioLite stoves for example, where they display a smart phone that really needs 5 watts of power and customers were having to feed the stove with fuel and never obtaining a meaningful charge. Our TEG Fan Dragon has a 9 Watt TEG, and while it is capable of charging numerous smart phones, every new introduction seems to require more and more power. The TEG Fan Dragon is incapable of charging the iPhone 7 Plus, for example, yet is able to charge the 4, 5, & 6 models. Bottom line, TEG's functionality for running lower power led lights efficiently does not translate to charging the newest versions of smart phone or tablets. There are numerous inexpensive solar battery packs for example that can charge a smart phone quickly and more efficiently than a currently available TEG outfitted stove. In our opinion TEG stoves are not meaningful charging devices yet. Hopefully in the future will less expensive, more powerful thermal electric generators will become available. 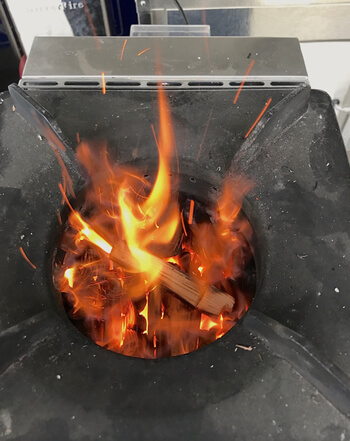 Buy the TEG Dragon Fan stove if you are looking for an amazing cookstove that will out perform other biomass stoves for intense frying, woking, boiling, or other outdoor kitchen chores. This stove is really fun to cook with! It is fun, powerful and amazing! It is great for running low watt electrical devices (4.5) or less. 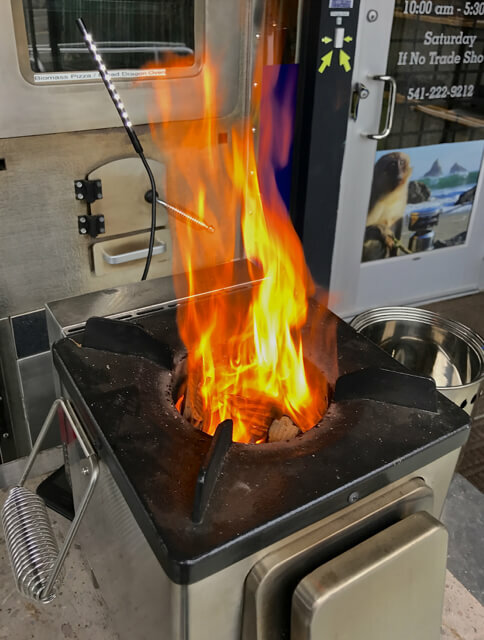 It will out perform your gas grill top for intense wok flame, just with a few sticks, kindling, or debris! There is not another stove on the planet that is so much fun!